Marsh Swing Bridge is another which no longer swings. There’s also a pipe running across the canal at bridge deck level, just to the right of the bridge and that could be difficult to deal with during restoration. 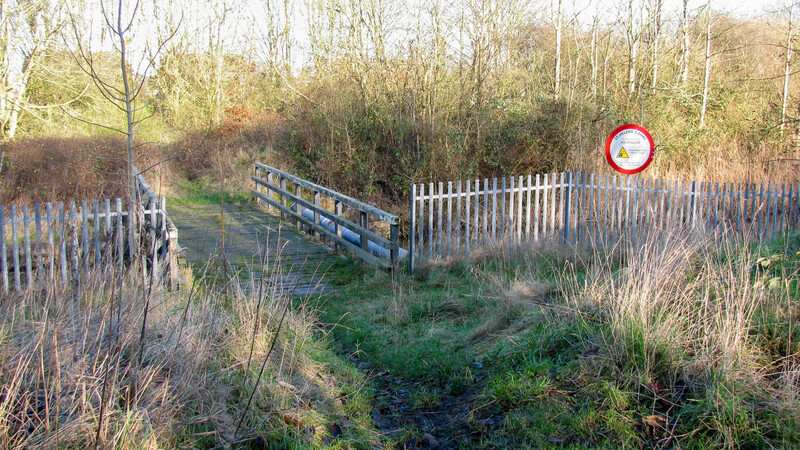 The fence runs alongside the canal for several long lengths and the red sign warns of an unstable bank to the canal.